M. T. Dremer has worked a public service, tech support job for more than a decade, and grew up surrounded by technology and the internet. This is one of the best clean up tools available on all windows PCs. The best way to describe the defragmentation tool is like a shelf full of books. Lets say at one point you had a full shelf of books, but over time you got rid of half of them. So now your shelf has a large number of gaps in between each of the remaining books. The logical thing to do would be to push all of those books together to close the gaps, making it easier to find the book you’re looking for. This is the basis of the defragmentation tool. As you delete files and programs from your computer, it leaves gaps in the computer’s memory. By running this application, it reorganizes your remaining files, closing the gaps and making it easier for the computer to find the files and programs you still have. You can access the defragmentation tool from your “My Computer” icon. You can find the “My Computer” icon on your desktop or in the start menu (depending on which version of windows you are running). Once you are in My Computer, look for something called “Local Disk (C:)”. This is your hard drive, where all of your files and programs are kept. Right click on this drive and go to “properties”. Once you are in the properties window you should see a pie chart that tells you how much space is available on your hard drive. What you’re looking for is a tab at the top of the window that says “Tools”. Click on this tab. Here you will find the defragmentation tool. Click on “Defragment Now”. 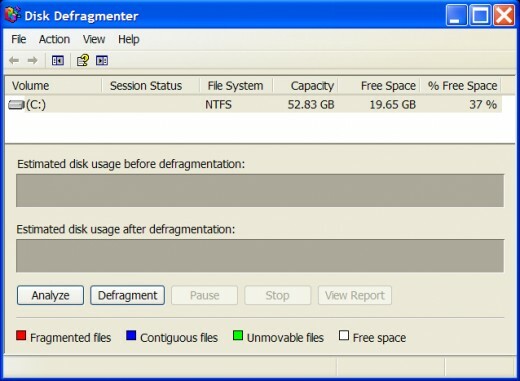 Once you are in the defragmentation window, there are two buttons on the bottom: “Analyze” and “Defragment”. Analyze will determine how fragmented your memory is, but it will not begin defragmentation. “Defragment” will do both, so it is easiest just to click on that one. The tool will then analyze and begin the defragmentation process. This process could take anywhere from 1 minute to 1 hour depending on how fragmented your memory is. If you are using an older computer and you have never defragmented it, expect the program to run for a long time. Feel free to begin the process and walk away from your machine. The computer will continue to defragment even if it goes into screen saver or sleep mode. That’s it. Once you’ve finished your computer is defragmented. While you may not see an immediate speed increase in your machine, an organized computer is a happy computer, and this will help increase the life of your machine. Note: Windows Vista has an auto defragmentation feature that may already be turned on. Note: It is a good practice to always defragment after deleting a large amount of files or programs. Deleting a file is a relatively simple process. If there is an image or a document you no longer want, you can simply right click on it and select “delete”. Removing a program, however, can be a bit trickier if you don’t know what to look for. 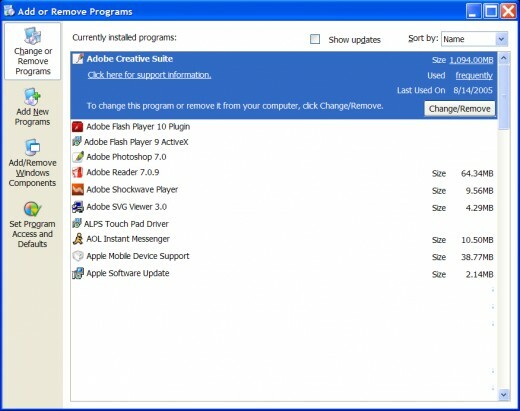 Some programs include an “uninstall” option in their menus, but in most cases, you’ll have programs on your computer that you have no idea how to get rid of. This is where the Add/Remove Programs tool comes into play. First you want to get to your “Control Panel”. This can be accessed from the start menu on the right hand side (Windows XP). Once inside you should see an option called “Add/Remove Programs”. Click on this item (or double click if you’re using classic view) and it will launch a new window with a blank white space. Depending on how old your computer is and how many programs are on it, it may take several minutes for the list of programs to appear in the white space. Give it some time and you should see a list of items pop up. Once the list does appear you are given a small picture of the icon, the name and the size. When you click on a program you are given the option to “Change/Remove” and you are also told how often you used that program. Click on the program you wish to remove then click the “Change/Remove” button and wait for the program to uninstall. For safety reasons you want to avoid removing programs you don’t recognize. A lot of programs will seem unfamiliar, but there is a good chance that they are crucial programs and updates for your computer that you will want to keep. As a general rule, if you don’t know what it is, don’t remove it. 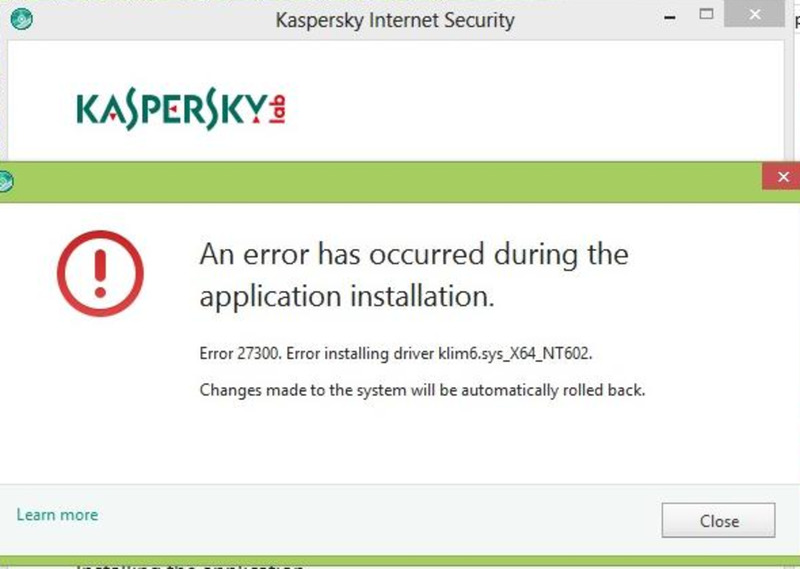 This is not an antivirus tool either, so it should not be used to try to delete a potentially harmful program. However if you do know a certain program that gives you pop ups, and you just don’t like it, you can remove it here. For example, lets say I downloaded a movie viewing program, but I decided that I didn’t like it because there were too many advertisements when I opened it. I can go to the “Add/Remove Programs” option and remove it. This is a great tool for deleting old programs you no longer use, or programs that you installed, but decided you didn’t like. In my time helping people with computers, one of the things I most frequently notice that slows down a computer is too many programs opening upon startup. This is a feature a lot of programs use in order to make access to them quicker. While it is a nice feature, if you use the program a lot, the tiny program that launches will not only make start up take much longer, but it will be constantly running in the background, slowing down your computer’s performance. There are two ways to deal with this problem, but first you will want to check to see how many programs are running (in general). You can check this by simply looking at your system tray. Your system tray is the area in the lower right corner of your screen, to the left of your computer’s clock. You should see a number of small pictures there. Each of these is a program of some sort that is currently running on your machine. A good deal of these programs are necessary and you should not try to remove them. Anything about your internet connection, antivirus software, or windows update should be left alone entirely. However if you see that there is an icon for your movie player or your art software, running down there that doesn’t need to be, you might consider preventing this program from opening when starting up. The first way to deal with this is to mouse over the little picture. Without even clicking, you should be shown the name of the program just by hovering over the icon. If you have confirmed that this is a program you don’t want running, right click on the icon so that a menu appears. Look for an option that says “Properties”, “Preferences” or “Settings”. If you don’t find it in the right click menu, try launching the program and looking for the same things in its menu bars. If you manage to find the program’s settings, you are going to look for a check box that says something like “Launch on start up”. Each program will probably word this differently, but these are the general steps for finding the option. By un-checking this you will prevent the program from launching the next time your computer is turned on. 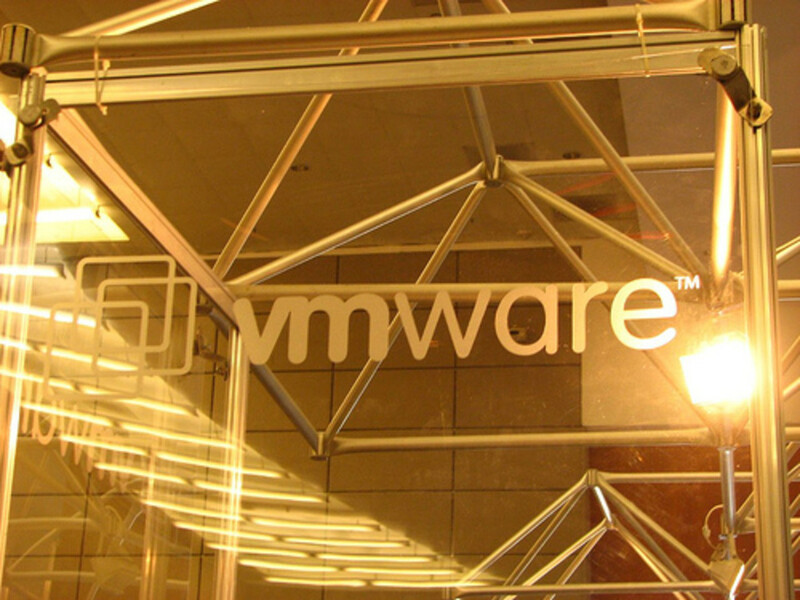 The Second way to deal with these programs is by entering your System Configuration Utility. First, click on the start menu, then click on “Run”. This will bring up a small window with a white bar for typing. Type in “MSConfig” and hit “OK”. 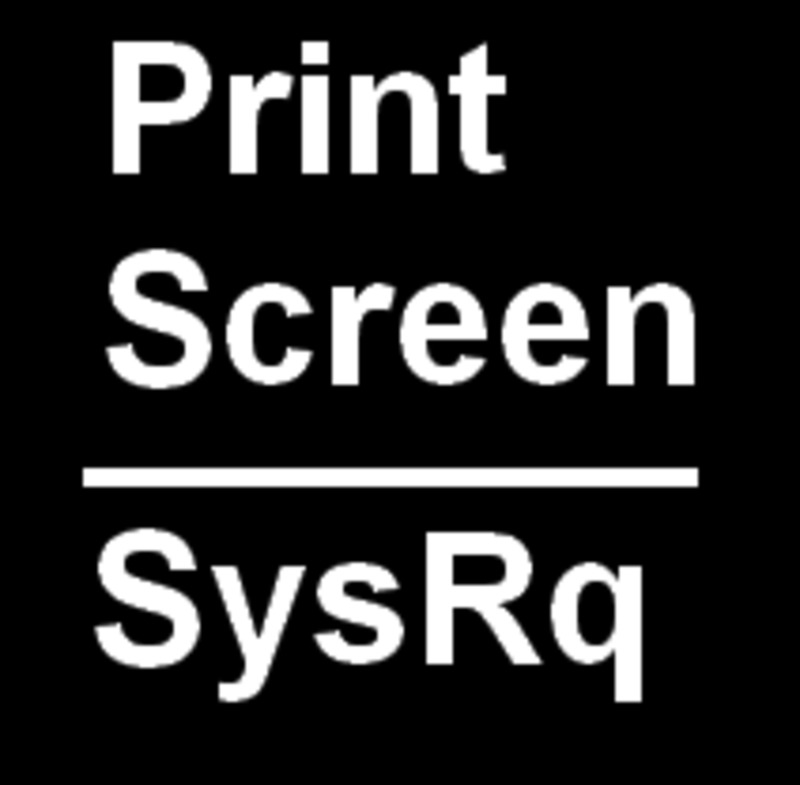 This will launch the System Configuration window. At the top of the window, look for the tab that says “Startup” then click on it. The list you will see below is a list of all the programs that start up when your computer is turned on. It might surprise you to see how many programs are running that you aren’t aware of, but a great deal of these programs are necessary system files, so you will want to be careful which ones you un-check. Like with the Add/Remove Programs feature, you want to make sure that the box you un-check is for a program you know of, and are certain you don’t need. Some examples of programs you don’t need booting up are movie players (such as quicktime and real player), photo editing software (such as photoshop or microangelo) and messenger programs (such as aol instant messenger and ICQ). 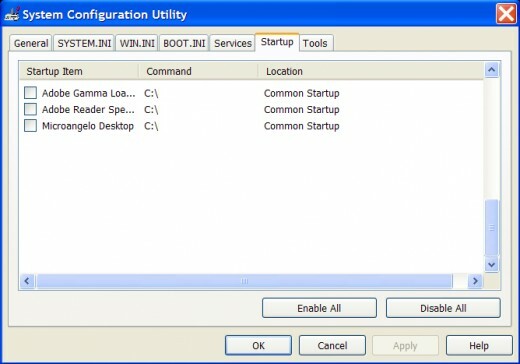 Un-checking these programs from the System Configuration Utility, will stop the program from launching when your computer is turned on. It will not prevent you from opening the program from your desktop or start menu. While it is a good rule of thumb just to delete old pictures and documents you no longer need, it is also important to delete certain temporary files that your computer creates. The most common is “Temporary Internet Files”. These are files that you viewed on the internet at one point in time, but may no longer need. For example, when you view a web page and a picture loads, that picture is saved to your computer as a temporary internet file. The computer does this so that the next time you visit that same web site, it loads faster. This is also done with text documents and pdf files that you open from web sites. Since there are a lot of sites you will probably never revisit, you don’t want the saved files to sit around taking up space. To remove these files you will want to launch your internet browser. The most common is “Internet Explorer”, though “Firefox” is also widespread. Once you open your browser, you want to look at the menus on the very top of the window. You should see a line of menus that begins with “File”, “Edit” and “View” or something close to that. Click on the menu that says “Tools”. For Internet Explorer, go to the option that says “Internet Options”. When the window opens you should be under the “General” tab and near the middle it should say “Browsing History” with a button below that says “Delete”. This will delete temporary internet files, cookies, saved passwords and saved form data. What this means is that you will have to re-enter passwords that were previously saved as well as any search data. For Firefox, in the tools menu, click on clear private data. This window gives you more options than Internet Explorer, in that you can decide which temporary files are deleted. You can keep your password and form data, but delete only the browsing history, cache and offline data. It can sometimes be a pain to re-enter passwords and search data, but the clearing of files will ultimately be better for your computer. There is another folder that you should be aware of for temporary files. Like your web browser, windows XP and higher will save small bits of certain programs to load when your computer starts. These are for programs you use frequently and they help to open the program faster each time you click on them. It is a nice feature, but once you stop using a certain program, that startup file is still in there. This is called the “Prefetch” folder. To access the Prefetch folder, go to “My computer” then double click on your local disk (C:). From the next list, select the “Windows” folder. If the files don’t immediately display for the Windows folder, Click on a nearby option that says “Show Files”. Once you are in the Windows folder, you might see a long list of folders. Just scroll down (or over) until you find the folder labeled “Prefetch”. Inside you will likely find a long list of icons. Everything in your prefetch folder can be deleted. You can select them all and hit the delete key, or you can right click on them individually and delete them. Which ever way you are comfortable. More of these files will be created in the future as you use new programs, but this method helps to clean out the prefetch files for programs you no longer use. Remember to empty your recycle bin. Limit downloading new programs and files, especially on older machines, and be aware of what you’re downloading in case you would like to remove it later. Avoid downloading files of any kind from sites and people you don’t know or trust. 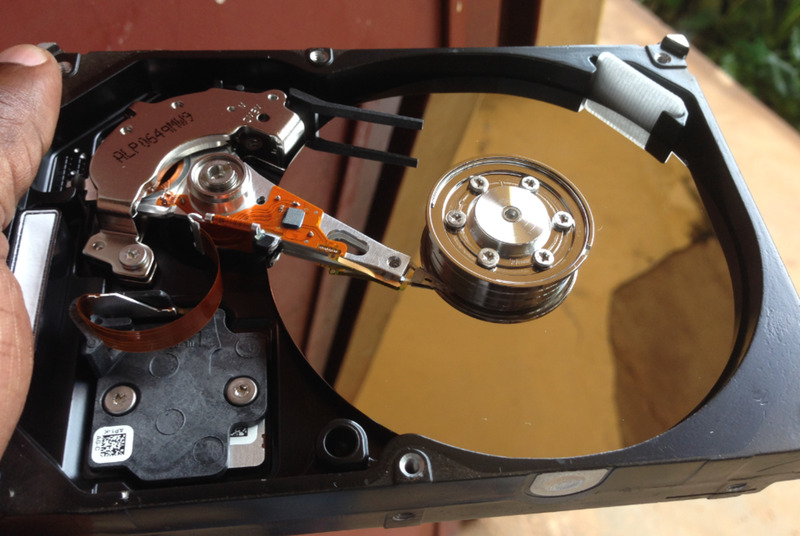 Some programs and files can be stored on external devices such as flash drives, CDs and external hard drives. Moving information to these devices can help free up space on your computer. The “Disk Cleanup” utility is another option for those who wish to clean their computers, but you will want to research it more to see if it is right for you. Older versions of windows might not have some of these features, like the prefetch folder. This article was written with Windows XP in mind. Many of these features can be automated with Windows Vista, but it is good practice to check them every so often. I mentioned this above, but when you are adding/removing programs, or disabling certain programs from starting up, never remove a program you don’t recognize. There is a good chance that it is a crucial windows program or update, and changing or removing it could cause your computer to start up improperly or not at all. Only remove programs you know for certain you don’t need. peachpurple - Hard drive clutter is a big issue too. I find myself wanting to defragment, but not having enough free space to make it happen. It can get frustrating. Thanks for the comment!